Are You Considering A Ragdoll Cat? How To Know Which Cat Is Right For You. If you are thinking that a Ragdoll cat is something you’d like to have, then you have come to the right place. Floppycats.com is one of the ideal places to communicate with other Ragdoll cat owners. Earlier this year, pawnation did a feature on finding the best cat based on your personality type. 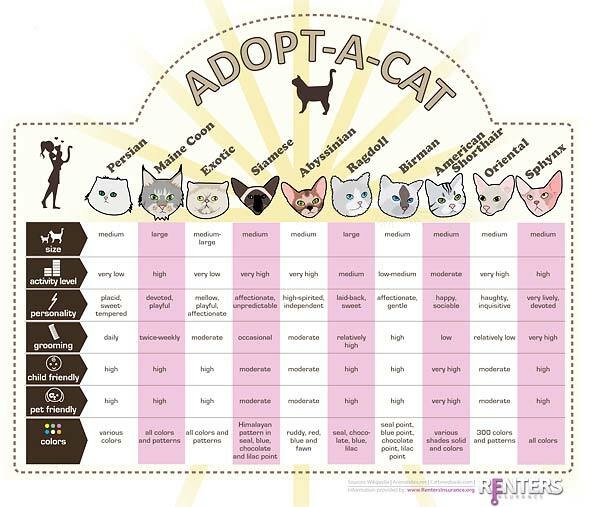 Here’s a quick chart that can help you determine which kind of cat is best for you. What kind of cat do you have? How did you determine what kind of cat you wanted? Do you think your cat is the right fit for you? This is an interesting post! I look forward to the responses 🙂 The Ragdoll and Birman breed seem quite similar, what would you say makes them different from each other? Their appearance is pretty similar too. Although I do not currently own a cat at the moment, I am definitely a Ragdoll lover and look forward to the day when I can finally own one or two ^^!